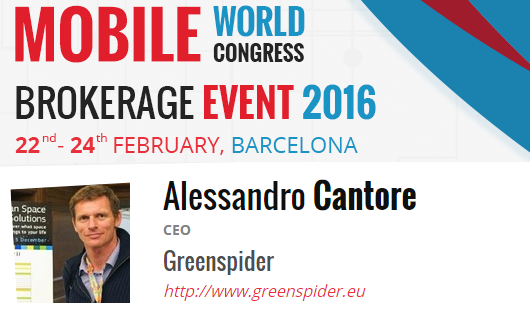 Greenspider® awarded SME Champion at Mobile Word Congress in Barcellona. 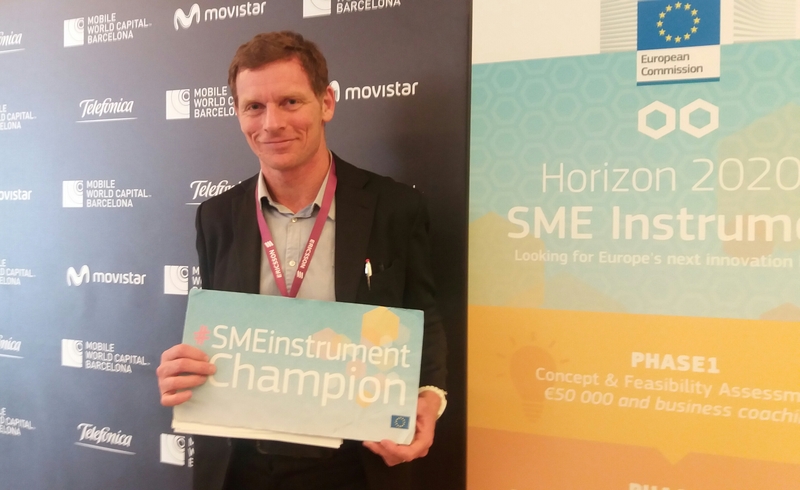 With its project SMASH, Smart Sharing, the company is beneficiary of SME instrument in Horizon2020 European program for Innovation. SMASH, SMArt SHaring solution by GREENSPIDER®, is a small-sized device embedding localization, mobile authentication, and cloud connection, that enables Open Source sharing of vehicles and heterogeneous resources. These combined innovative features make SMASH unique and easy to install everywhere. SMASH exchanges authenticated commands and Near Field controls with the user’s smartphone, which becomes the access key for distributed resources, vehicles, charging stations, thus allowing reliable pay-per-use. 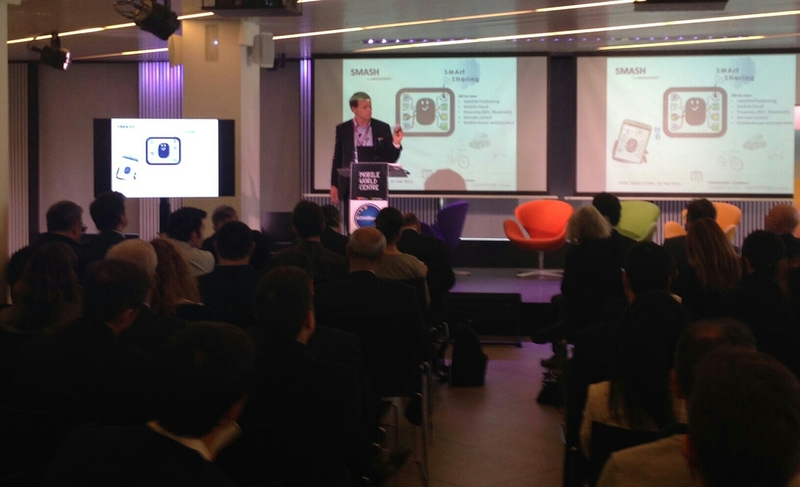 With a deployment potential of millions of units, SMASH represents a potential revolution in our cities’ mobility. The mobility market is changing! The customer needs to change! Thanks to a new concept of mobility, customers are more likely to have access to the various types of transport and mobility be interested in the future as a service, as in vehicle ownership. 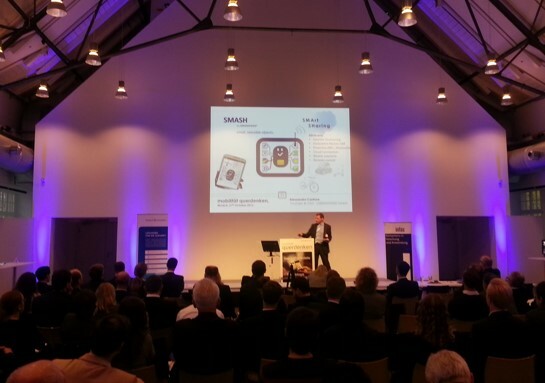 For this you want networked, holistic mobility solutions. This creates new opportunities for the design of sustainable, innovative business models. 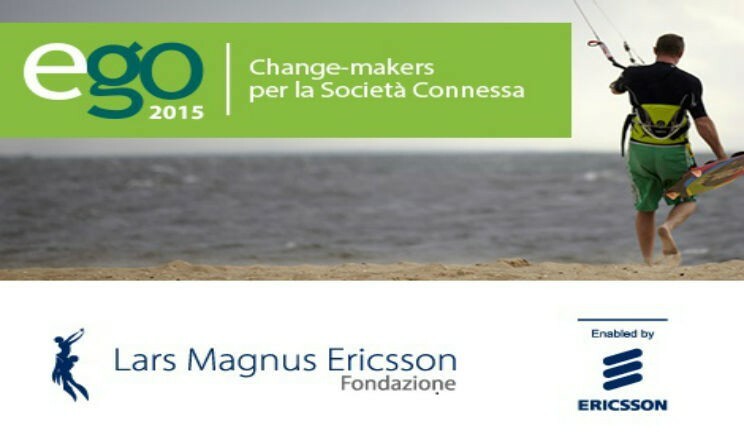 Greenspider can grow and accelerate the impact of its SMASH with the global player Ericsson, enjoy a period of acceleration of two years in the Ericsson campus in Rome. The Swedish company will provide offices, connections and expertise, for integrating SMASH in its globally scalable Internet of things platform. The Renaissance Track: Cars, Clouds and Connectivity - Where is Innovation Driving the Automobile Next? The transportation sector took more than 40% of the global venture and growth capital invested into clean technology companies last year. At the heart of that though is not the vehicle itself, but an explosion (a bubble?) of investment into companies with apps for taxis and ride-sharing, driving analytics and remote fleet management, and solutions around the autonomous and automated car. A new era for the car seems to have begun. Rapid developments in the ‘connected car’ space are paving the way towards crash avoidance, reduced congestion and better overall driver experience and convenience. Sensors, data algorithms, crowd sourcing, vehicle to vehicle (V2V) and advanced driver assistance systems (ADAS) are some of the latest advents of the most sophisticated automobiles. 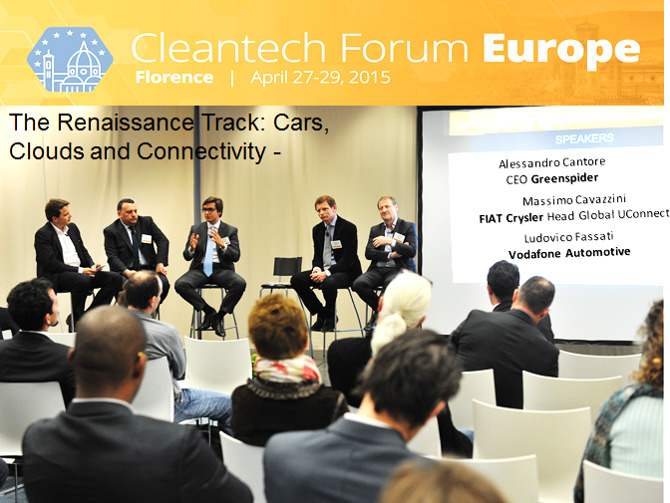 This is the topic discussed at CleanTech Florence 2015, with expert operators in the field of Connected Vehicles; Alessandro Cantore (CEO, Greenspider), Ludovico Fassati (Global Head of Business Development and Strategy, Vodafone Automotive), Massimo Cavazzini (Global Uconnect – Head of EMEA Marketing&User Experience, Fiat Chrysler Automobiles), Nicolas Chaudron (Idinvest Partners), Christophe Sapet (CEO, Navya Technology) Michele Parad (Cleantech Group).